Beautiful night view of contemporary curvy roof house in 3100 Square Feet (288 Square Meter) (344 Square Yards). Design provided by Design Concepts (Now Arun Design Atelier), Alappuzha, Kerala. 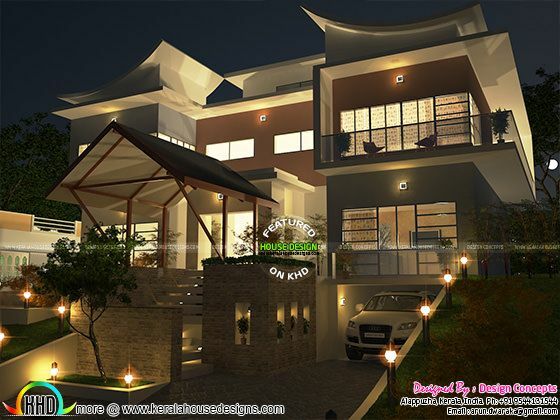 0 comments on "Curvy roof house in night view"